When it comes to liner, I'm a big noob. I prefer tightlining, aka invisible eyeliner. Easier to do and kinda fool proof. So when my latest Allure issue gave me some tips, I could not help but share. Step 1: Raise your chin and look down, then lift the outer corner of your eye with your index finger. Step 2: Trace the waterline with your pencil. Mind: it may tickle. Step 3: Gently pull your top lid taut by pressing your index finger on the outer corner. Then wiggle the tip of your pencil deep into your lashes, so you get in between every lash. Step 4: Clean up any mess with a cotton bud. A waterproof pencil is a must. 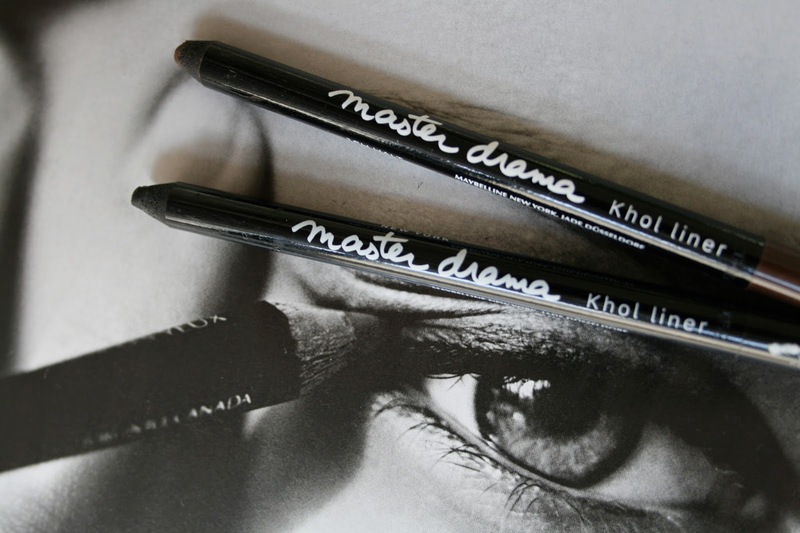 I really enjoy the Maybelline Master Drama Khol Liner (£4.49); no smudging, buttery application. You can experiment with color, but I stick to black or brown. The tools you will enjoy are: (pointy) cotton buds and a small, flat brush like the Real Techniques Fine Liner Brush (£3.50) - to really smudge the liner between the lash line after you've applied it. Although this is less nerve wrecking than actual liner, it can leave you with a panda look if you really go to town - aka, what tends to happen to me. But don't worry, just finish wiggling and applying. Then at the end, take away the excess panda with a cotton bud and you're good to go.